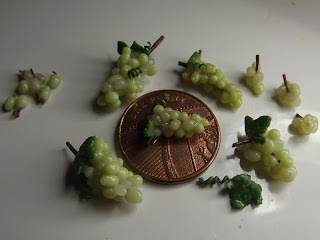 Another thing I wanted to try my hand at was making grapes in 1:12th scale. 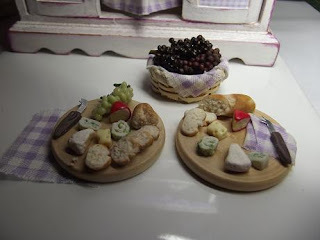 I tried using tiddly fimo pieces, silicone bits and also mustard seeds. All worked pretty well... though to find the silicone in small pieces isn't that easy. 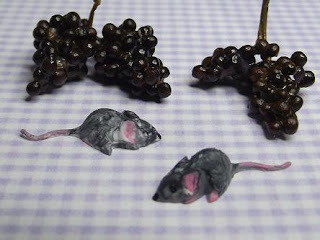 Once again, I used only what I had at hand, and for the silicone and mustard seeds used adirondak inks for colour.